Does credit crunch effect singles’ spending on a date? UK online dating site Free Dating.co.uk announces that the credit crunch does not affect on it and that is proven by the research. Another question is who pays for the first date? There we have some data. 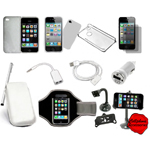 12% of single men reduce the amount they would spend on a date due to the economic meltdown. 64% of guys think the man should pay, whilst only 35% of women would expect their date to settle the bill. The research showed that the younger respondents more traditional are their views on this subject. 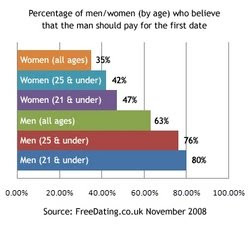 Respondents under 21s, 80% of guys think the man should pay, 47% of women agree the man should pick up the tab. Dan Winchester of Free Dating.co.uk commented: "This research shows that the traditionally-held view that the man should pay for a first date is alive and kicking - even more so amongst the younger generation. Furthermore, guys are not letting the credit crunch hold them back when it comes to splashing out on a first date". And how much is going to be spent on a date? According to the PRWEB, Liverpudlians - £72, followed by Coventry and Birmingham, Sheffield - £45. Guys from Nottingham and Southampton were also languishing at the bottom of the generosity table. Londoners - £64. Winchester commented: "Whilst the majority of women are perfectly happy to pay their own way on a first date, men should be aware that most of their fellow suitors will be offering to pay. Our research also confirms that, unsurprisingly, many women find meanness with money an unattractive trait". "If you are on a tight budget, try and make up for your lack of funds with an abundance of imagination - doing something interesting or exciting will make the small budget less obvious". And if you are interested in cheap date stories visit Free Dating.co.uk's Dating in the Credit Crunch. Surely it's common sense that something that is free will not have an impact of economic downturn or a credit crunch. In fact as free dating sites are time sensitive, with more people unemployed this should actually see a rise in online hours and activity on these sites!